Cafe Astrology reserves the right to change these terms and conditions at any time, and you agree that each visit you make to Cafe Astrology’s Web Site shall be subject to the current terms and conditions as published on our website at https://cafeastrology.com and on this page. 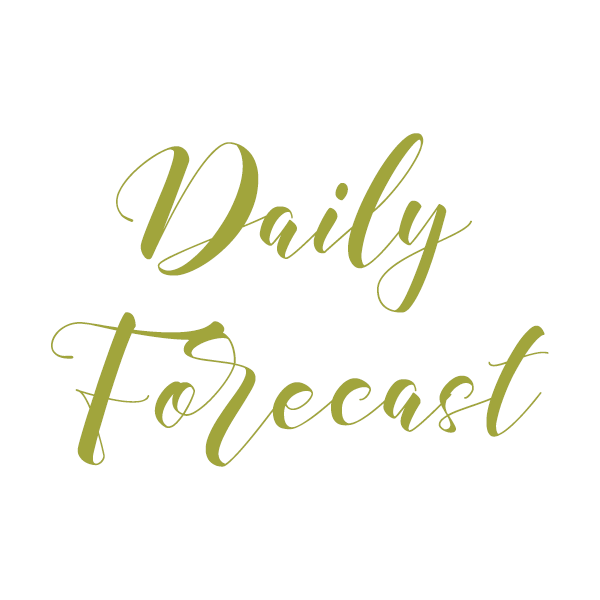 ALL READINGS, REPORTS, SUGGESTIONS, AND ADVICE FROM CAFEASTROLOGY.COM/ANNIE HEESE ARE UNDERSTOOD TO BE FOR ENTERTAINMENT PURPOSES ONLY. Cafeastrology.com is not responsible for how readings, suggestions, and advice are interpreted or applied. Please always use your better judgment. By accessing Cafe Astrology’s Web Site, you are agreeing to be bound by these Web Site Use Terms & Conditions and all applicable laws and regulations, and you agree that you are solely responsible for compliance with any applicable local laws. If you do not agree with any of these terms, do not use this site. Any claim relating to Cafe Astrology’s Web Site shall be governed by the laws of Quebec, Canada. The materials contained in Cafe Astrology’s Web Site are protected by applicable copyright and trademark laws. Electronic forums such as email distribution lists and UseNet newsgroups all have ground rules and established etiquette for posting messages or material to these forums. Users should be considerate of the expectations and sensitivities of others on the network when posting material for electronic distribution. The network resources rented by you may not be used to impersonate another person or misrepresent your authorization to act on behalf of Cafe Astrology or any other party. All messages transmitted by you should correctly identify you as the sender. Any attempt to alter the system configuration, to breach the security of the network, to gain unauthorized access to other users’ email accounts, or any other attempt at “hacking”, is prohibited, and will result in the immediate cancellation of all access and privileges and the possibility of criminal and/or civil charges being brought. 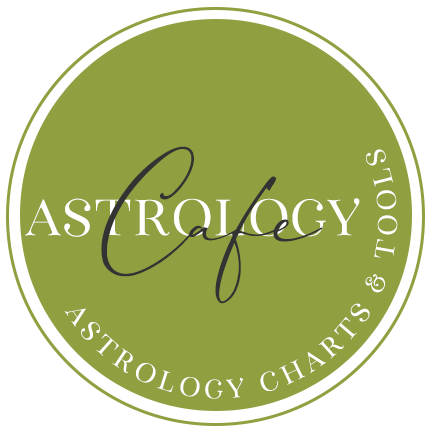 Cafe Astrology’s Web Site contains links to and frames of sites that are not maintained by Cafe Astrology. Cafe Astrology is not responsible for the content of those sites and cannot guarantee that those sites will not change without our knowledge. The inclusion of such links and frames in Cafe Astrology’s Web Site does not imply endorsement of such sites or any content, information, material, products or services provided on such sites. THE MATERIALS AND INFORMATION CONTAINED ON CAFE ASTROLOGY’S WEB SITE ARE PROVIDED “AS IS”, WITHOUT WARRANTY OF ANY KIND, EITHER EXPRESS OR IMPLIED, INCLUDING WITHOUT LIMITATION ANY WARRANTY FOR INFORMATION, SERVICES, OR PRODUCTS PROVIDED THROUGH OR IN CONNECTION WITH CAFE ASTROLOGY’S WEB SITE AND ANY IMPLIED WARRANTIES OR CONDITIONS OF MERCHANTABILITY, FITNESS FOR A PARTICULAR PURPOSE, EXPECTATION OF PRIVACY OR NON‑INFRINGEMENT. In no event shall Cafe Astrology or its service providers, affiliates, associates, subsidiaries or partners be liable for any damages, including, without limitation, damages for loss of data or profit, or due to business interruption, arising out of the use of or inability to use the materials contained on Cafe Astrology’s Web Site, even if Cafe Astrology has been notified of the possibility of such damage. Some jurisdictions do not allow the exclusion of implied warranties, so the above exclusion may not apply to you. This disclaimer of liability applies to any damages or injury caused by any failure of performance, error, omission, interruption, deletion, defect, delay in operation or transmission, computer virus, communication line failure, theft or destruction or unauthorized access to, alteration of, or use of record, whether for breach of contract, tortuous behavior, negligence, or under any other cause of action. 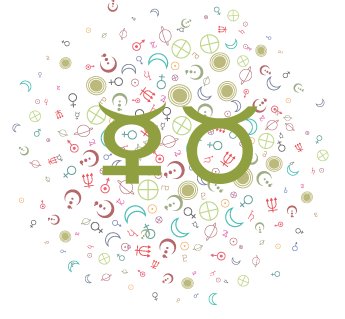 The information and opinions expressed in Bulletin Boards, Chat Rooms, or other forums conducted on this site are not necessarily those of Cafe Astrology or its service providers, affiliates, associates, subsidiaries or partners and Cafe Astrology makes no representations or warranties regarding that information or those opinions. Neither Cafe Astrology or its service providers, affiliates, associates, subsidiaries or partners shall be responsible or liable to any person or entity whatsoever for any loss, damage (whether actual, consequential, punitive or otherwise), injury, claim, liability or other cause of any kind or character whatsoever based upon or resulting from any information or opinions provided in such forums. Cafe Astrology hereby grants you a limited license to view on your computer, print, download and use any content made available on Cafe Astrology’s Web Site for which a fee is not charged, for non-commercial, personal, or educational purposes only, provided that you do not modify any such content, and that you include with and display on each copy of such content all applicable notices, including a copyright notice, the URL of the document and this limited license. No other use is permitted. Without limiting the generality of the foregoing you may not make any commercial use of such content, either alone or in or with any product which you distribute, or copy or host such content on your or any other person’s web site or FTP server. Nothing contained in this limited license shall be deemed as conferring any right in any copyright, trademark, trade name or other proprietary property of Cafe Astrology or any other party who owns or has proprietary rights to the content, information, and materials provided on Cafe Astrology’s Web Site. All material on this site, including, but not limited to images, illustrations, and multimedia materials, is protected by copyrights which are owned and controlled by Cafe Astrology or by other parties that have licensed their material to Cafe Astrology. Material from this Web Site or from any other website owned, operated, licensed or controlled by Cafe Astrology may not be copied, reproduced, republished, uploaded, posted, transmitted, or distributed in any way. Modification of the materials or use of the materials for any other purpose is a violation of the copyrights and other proprietary rights held by the respective providers thereof. The use of any such material on any other web site, FTP server or network environment is prohibited. Cafe Astrology may make changes, improvements, alterations or amendments in and to the products, services, information and materials contained on Cafe Astrology’s Web Site, including the terms and conditions of your use of this Web Site, without liability. Due to the nature of the Internet, it is not possible for Cafe Astrology to restrict access to its web site only to those jurisdictions in which it does business. Some of all of the products and services offered on this web site may not be eligible for solicitation in your jurisdiction. If you are accessing this web site from such a jurisdiction, you should not consider anything on this site as an offer to sell or as a solicitation to the public to purchase any product or service from Cafe Astrology. This site is for use only by persons residing in jurisdictions where such products and services may legally be sold. Cafe Astrology offers services and programs in many parts of the world. The web site may refer to certain services or programs that are not available worldwide. 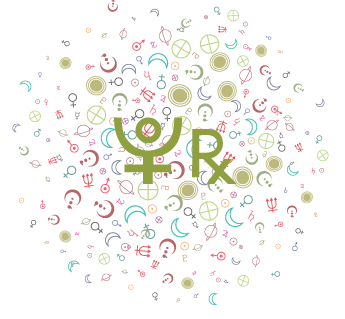 Without specifically limiting the offers made on this web site, reference to such services or programs does not imply that Cafe Astrology intends to offer such service or programs in all countries or locations. This site is controlled and operated by Cafe Astrology from its office in Canada. Cafe Astrology makes no representation that any of the materials contained in Cafe Astrology’s web site are appropriate or available for use in other locations. Those who choose to access this site from other locations do so on their own initiative and are responsible for compliance with local laws, if and to the extent local laws are applicable. This agreement shall be governed by and construed in accordance with the laws of Quebec, Canada, and the parties hereby attorn to the jurisdiction of the courts of Quebec, Canada. Any provisions of this agreement which are or may be rendered invalid, unenforceable or illegal, shall be ineffective only to the extent of such invalidity, unenforceability or illegality, without affecting the validity, enforceability or legality of the remaining provisions of this Agreement. This agreement constitutes the entire agreement between the parties pertaining to the subject matter hereof and supersedes all prior and contemporaneous agreements, understandings, negotiations and discussions, whether oral or written, of the parties. Cafe Astrology appreciates and respects the privacy concerns of the visitors to its web site. As a general policy, no personal information is automatically collected by Cafe Astrology from customers visiting this web site. However, certain information is recorded as a matter of course by Cafe Astrology’s servers in order to track the number of visitors to the web site and to help provide an enhanced online experience for the visitor. The type of information tracked by our servers includes the browser and operating system in use by the visitor and the domain name of the visitor’s Internet service Cafe Astrology. Collecting this information allows Cafe Astrology to optimize the visitor’s web site experience. E‑mail addresses and other personally identifiable data about visitors to this site are known to Cafe Astrology only if and when voluntarily submitted by the visitor. All personal information collected by Cafe Astrology is retained by Cafe Astrology and not sold or otherwise provided to third parties. Cafe Astrology sometimes uses email addresses and other personally identifiable information to communicate with visitors who have provided Cafe Astrology with their email addresses for specific purposes such as receiving newsletters or other information. Each newsletter will also contain instructions on how to discontinue receipt of the newsletter. Visitors should be aware that when they voluntarily disclose personal information on bulletin boards or in chat areas, that information can be collected and used by others and may result in unsolicited messages from other parties. Some of Cafe Astrology’s web pages place a cookie in the browser files of a visitor’s computer. The cookie itself does not contain any personal information. Although cookies enable Cafe Astrology to relate a visitor’s use of Cafe Astrology’s site to information that the visitor has specifically and knowingly provided, Cafe Astrology does not do so for any sites specifically designed for and aimed at children. Cafe Astrology believes that parents should supervise their children’s online activities and should consider using parental control tools available from online services and software manufacturers that help provide a kid-friendly online environment. These tools can also prevent children from disclosing online any personal information without parental permission. By posting/sending a message in the bulletin board/e‑mail area, you agree to have that message along with your name posted for public viewing both here and in other promotional and advertising materials without compensation. Cafe Astrology will attempt to post as many messages as possible, cannot promise to post every submission. 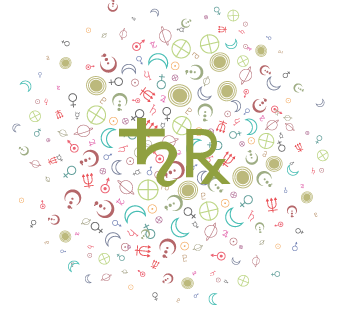 All messages that are posted here represent the opinions of the individuals or organizations posting those messages, and do not express the ideas or opinions of Cafe Astrology. You may copy the posted messages for personal use, but redistribution in any way requires the permission of Cafe Astrology. In consideration of this authorization, you agree that any copy you make of any message(s) located on this web site shall retain all copyright and other proprietary notices contained therein. (b) You may not post or transmit any message, file, image or program that would violate the property rights of others, including unauthorized copyrighted text, images or programs, trade secrets or other confidential proprietary information, and trademarks or service marks used in an infringing fashion. (e) You may not post or transmit any message which is harmful, threatening, abusive or hateful. It is not Cafe Astrology’s intention to discourage its users from taking controversial positions or expressing vigorously what may be unpopular views; however. Cafe Astrology reserves the right to take such action as it deems appropriate in cases where the website is used to disseminate statements which are deeply and widely offensive and/or harmful. (f) Any information provided to Cafe Astrology shall be provided by the submitter and received by Cafe Astrology on a non‑confidential basis. Cafe Astrology will only accept submissions made by registered users of Cafe Astrology. Cafe Astrology shall be free to use such information without limitation, restriction or obligation. All submissions, comments, ideas, and correspondence become the sole property of Cafe Astrology. (i) You may not post any e-mail or materials that would be considered a violation of any law. Cafe Astrology will co‑operate fully with any law enforcement authorities or court order requesting or directing Cafe Astrology to disclose the identity of anyone posting any such e-mail or materials. You agree to indemnify Cafe Astrology and its officers, directors, employees, agents, distributors and affiliates from and against any and all third party claims, demands, liabilities, costs, or expenses, including reasonable legal fees, resulting from your breach of any of the foregoing provisions. You agree to grant to Cafe Astrology a non‑exclusive, royalty‑free, worldwide, perpetual license to reproduce, distribute, transmit, sublicense, create derivative works of, publicly display, publish and perform any materials and other information you submit to any public areas, chat rooms, bulletin boards, newsgroups or forums of Cafe Astrology’s site(s) or which you provide by email or any other means to Cafe Astrology and in any media now known or hereafter developed. Further, you grant to Cafe Astrology the right to use your name in connection with the submitted materials and other information as well as in connection with all advertising, marketing and promotional material related thereto. You agree that you shall have no recourse against Cafe Astrology for any alleged or actual infringement or misappropriation of any proprietary right in your communications to Cafe Astrology. You (the User) must comply with the terms and conditions set out in this agreement (the User Agreement) in your use of this web site and the purchase of any products and services provided on this web site by Cafe Astrology (the Merchant). The terms and conditions set out in this User Agreement supersede any policies described in any other literature posted online or otherwise published by the Merchant. (a) The User understands that he/she will have to provide credit card or other payment information (the Information) to the Merchant in order to be able to purchase or license products and services provided on this web site. The User represents that the Information provided shall be accurate and complete. The manufacturers or owners of the products and services provided on the Merchant’s web site (the Owners) will use the Information to charge the User for any products or services purchased or licensed from this web site. (b) The Merchant reserves the right, in its sole discretion, to modify, update, change, adjust or otherwise make amendments, at any time and without prior notice, to its product descriptions, warranties and prices, due to errors, product discontinuation, cost adjustments, changing market conditions or any other business factor. (c) All prices are subject to applicable state/provincial and federal sales and goods and services taxes, handling charges and shipping charges. (d) All orders for shipment outside of [country] may be subject to additional taxes, shipping charges, tariffs, customs, and duties, all of which shall be paid and provided for solely by the User. The Merchant’s web site can be accessed from any jurisdiction worldwide which has access to the Internet. The User understands that, due to governmental restrictions in some areas, some or all of the products and services provided on this web site may not be available for purchase or licensing to persons or entities residing in certain jurisdictions or geographical areas. The Merchant reserves the right, in its sole discretion, to exclude or otherwise limit the provision of any product or service to a person or entity residing in any jurisdiction or geographical area where such restrictions apply. The Merchant does not represent or warrant that any product or service provided on this web site will be available for purchase or licensing to the User. The Merchant provides this web site, including any product or service purchased or licensed through this web site, “as is”, and expressly disclaims any warranties of any kind, whether expressed or implied, including, but not limited to, implied warranties of merchantability or suitability for a particular use or purpose. The disclaimer by the Merchant hereunder in no way disclaims any warranties provided by the manufacturer or owner of a product or service displayed in this web site. The Merchant and the manufacturers and owners of the products and services provided on the Merchant’s web site make no representations or warranties with respect to the availability of any warranties for products or services used by the User outside Canada. (a) The Merchant does not endorse or recommend any of the products or services on this web site. The Merchant shall not be liable for any indirect, special, incidental or consequential damages arising from this web site or its contents or from the purchase or licensing or any products or services provided on this web site. (b) The Merchant shall make all reasonable efforts to ensure the accuracy and completeness of the information on this web site. The Merchant shall not be liable for any loss or damages suffered due to inaccurate or incomplete information relating to a product or service displayed in this web site. (a) If any provision of this Agreement is determined to be void or unenforceable in whole or in part, it shall not affect or impair the validity or enforcement of any other provision of this Agreement. (b) This Agreement and any schedules attached hereto constitute the entire agreement between the parties to this Agreement pertaining to the subject matter hereof and supersede all prior and contemporaneous agreements, understandings, negotiations and discussions, whether oral or written, of the parties and there are no warranties, representations or other agreements between the parties in connection with the subject matter of this Agreement except as specifically set forth herein. (c) The parties understand and agree that this Agreement may be modified, supplemented or superseded any agreement or license between the User and an Owner at the time of purchase or licensing of a product or service on this web site. (d) This Agreement shall enure to the benefit of and be binding upon the parties hereto and their respective heirs, administrators, executors, successors, and assigns. (e) This Agreement shall be governed by and construed in accordance with the laws of Quebec, Canada. ALL READINGS AND ADVICE FROM CAFEASTROLOGY.COM ARE UNDERSTOOD TO BE FOR ENTERTAINMENT PURPOSES ONLY. Cafeastrology.com is not responsible for how readings, suggestions, and advice are interpreted or applied. Email addresses are kept private and never used for mailing lists unless you formally subscribe to our email newsletter (currently not in use), in which case your email address is used solely for this purpose. We do not sell email address lists. 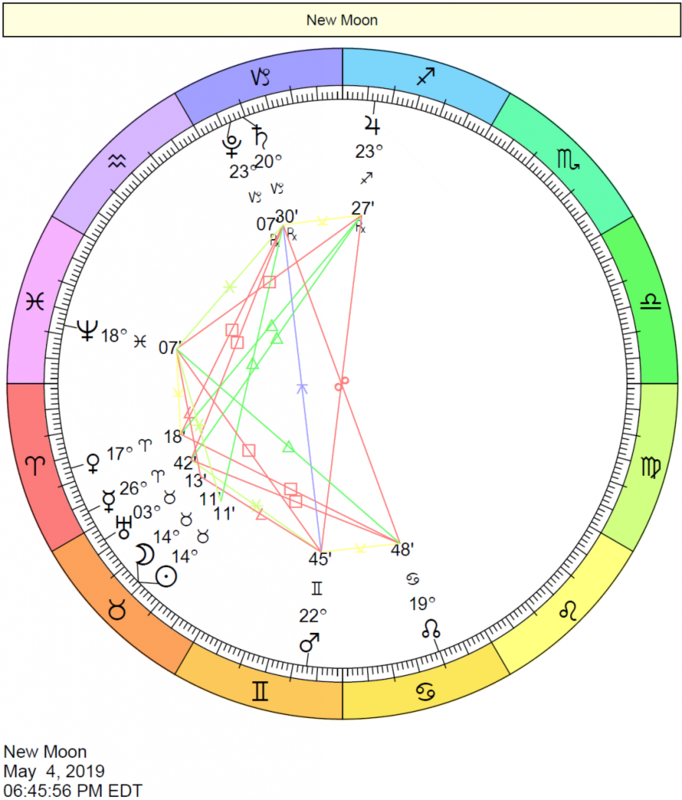 Additionally, birth information submitted to us, whether through report orders or natal chart help, is only used for the intended purpose and never shared with third parties. New Terms updated on May 19, 2018, can be found here. Cafe Astrology is committed to keeping data safe and private. Regarding compliance with the EU’s General Data Protection Regulation (GDPR), the following is a data protection statement. By using the site, making a purchase, or requesting astrological information, you confirm that you have understood the information below and consent to the use of your data as outlined in this statement. Cafe Astrology currently doesn’t have an official membership system in place. However, the site uses some popular third parties for analytics and e-commerce. Emails are only sent to those people who have provided their email addresses for payment and fulfillment of orders, as well as in reply to those people writing for information. We do our best to delete emails sent to us with birth data requesting astrological information. We may not catch all of these if some have gone to spam but we do flush spam folders reasonably often. 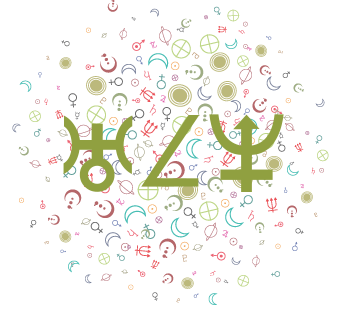 We securely store some birth data from customers or readers who’ve provided this data to us in various offline astrology software programs but don’t enter full birth names along with the data. Regarding shared astrological data (whether through your astrological questions through emails or orders): Please note that astrological data is never shared with anyone outside of the site. If you’ve provided your birth data, you can request that we purge it from our software programs and delete emails that you’ve sent to us with the information. Storage of data is reasonably secure and takes the form of birth data only in offline astrological software. Backup copies of emails are kept offline in external hard drives. Your payment details are retained for accounting reasons. No credit card or financial information is stored on Cafe Astrology whatsoever, neither is it submitted to the site since we use a secure Paypal shopping cart that handles all payments. The Free Astrology Reports section at https://astro.cafeastrology.com has an informal account system in place. Birth data can be stored using cookies but is not attached to an email address. This is in place for convenience purposes so that users don’t have to reenter birth data each time they generate free reports. Please note that any individual chart or the full list of data can be erased by the user via the given link directly under the list. If you clear your cache, the cookie data will be erased. However, if you take note of the Profile and PIN numbers directly below your list of charts, you can log in to an account with these numbers in order to retrieve the chart data. This is also useful for retrieving stored data on other devices. Please note that chart data is saved for convenience, but we cannot guarantee that it will be stored perpetually. It’s always wise to keep data anonymous by using an initial or pet name in the name field. If you prefer not to store this chart data, at any time, you can delete your chart data on the home page of this Free Report section here. If you don’t want a cookie to save chart data at all, refer to an article here: for general instructions to block cookies. For Google Chrome users, you might try something like the Cookie Disable extension to do this on a per-site basis, or you can access the site through an Incognito Browser which won’t save your session (or birth data). The Free report tool here does not store any birth data – the data disappears after a report is generated. We currently don’t use opt-in email services, but an optional account system is in place in the Cafe Astrology Shop (store). With that system, anyone can request we delete their account at any time by writing to [email protected] Customers also have the option not to create an account. In these ways, customers can exercise their rights according to the GDPR, and we ensure an appropriate level of security for customer data (including a secure site with a firewall in place). As a data subject, you have various rights under the GDPR, including the right to access your data, the right to be forgotten (erased), and the right to make corrections. To exercise any of these rights, please email [email protected] and state which right you would like to exercise. UpDraftPlus: for keeping daily backup copies of the site, which are then stored in Dropbox. This ensures that if something happens to the site, a recent backup can be uploaded with minimal interruptions. In Motion Hosting: Our hosting company may store backup copies of the site which can include emails and databases. CPanel Statistics: We refer to general statistics for the site that show visitor page totals as this helps us see which pages are most popular.